I’ve decided I don’t use certain spices enough. I have favorites. They are cumin, Italian seasoning, garlic powder, cayenne, paprika, and chili powder. The ones left behind: coriander, garam masala, curry, and turmeric. I’m missing out on so many, like sumac. So I grabbed the garam masala and made these masala kale chips! Both garam masala and curry seasonings are blends of other spices. The type of blend is usually determined by it’s region. This came as a complete surprise. I used to think that curry came from a magic pod. I’ve since learned its a blend of: turmeric, coriander, and cumin. Depending on the region additional spices may be presesnt. Pretty cool. You could make your own curry blend, if you wanted. A Punjabi (Indo-Aryan group from SE Asia) blend of Garam masala is mostly: black & white peppercorns, cloves, malabar leaves, mace blades, black & white cumin seeds, cinnamon, black/white/green cardamom pods, nutmeg, star anise, and coriander seeds. My GM came in a Target, test tube bottle, spice set. Anyone else own this? I’ve had GM for a couple of years now and never used it. I love curries and mid-eastern food but haven’t done my own cooking in these cuisines. That is going to change, time to use some good spices! Here is my first attempt. These chips turned out really good and had excellent flavor. I used the food processor and dehydrator. Add everything except kale to your food processor fitted with the s-blade and process until it looks like a hummus dip. 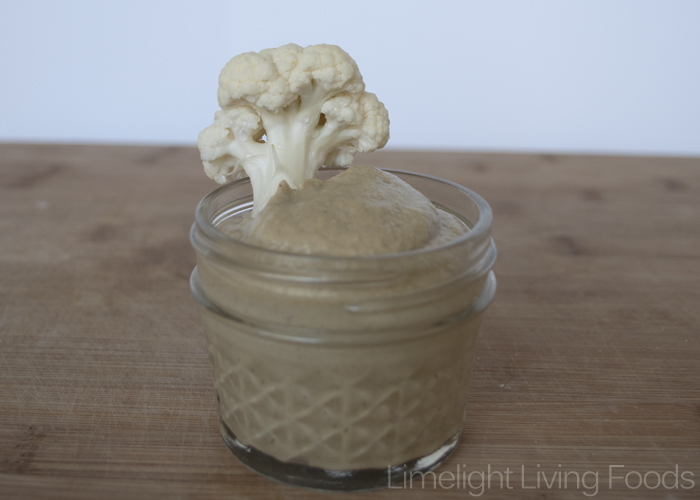 I'm not sure why I had a 1/2 cup of the dip left over but I did and it turned out to be a great dip for veggies. So, reserve 1/2 cup of the dip. 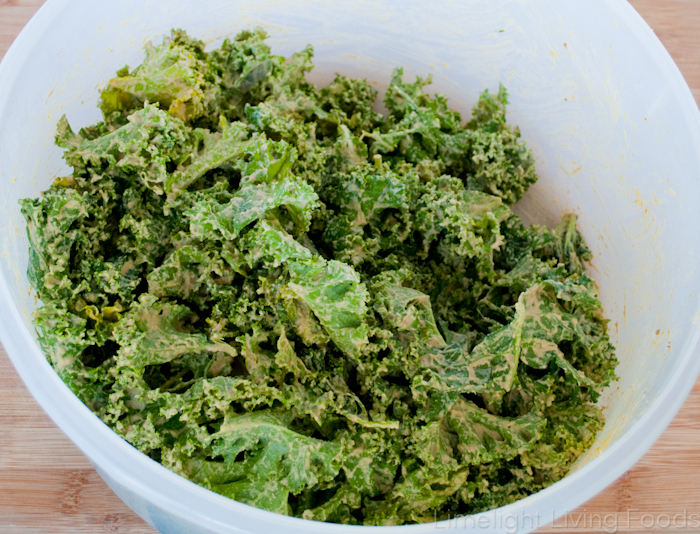 Take the remaining dip and add to a big bowl with the kale and toss with tongs or your hands. Get the mixture coating on every single leaf. Think of it like putting frosting on a cupcake, you're not going to put just one dot of frosting on a cupcake, right? Once leaves are coated, spread kale on a dehydrator tray with a screen. Dehydrate at 105 for 8-20 hours - until they are crispy. I haven't tried these in the oven, but if you do, let me know. Sorry, but I don’t have a picture of the final product. Imagine crispy shrinky-dink versions. The dangerous thing about kale chips is you keep eating them while they’re dehydrating – using excuses like, “Oh, I’ll just try one more.” I do have a picture of the dip though. What is a spice you are afraid to use?? Let’s be brave together!